Melbourne will soon play host again for the F1 Australian Grand Prix on March 13, but did you know that the sporting capital played host to another Grand Prix? Australia’s first Magic the Gathering Grand Prix for the year was held in Melbourne last weekend. 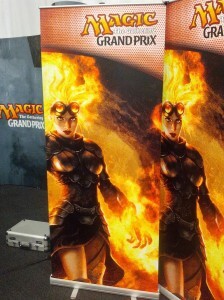 The Grand Prix is a huge event open to any players who wish to register, taking two days to find the best Magic player. The main event was a Standard format competition, so decks could only be built using cards from the most recent three “blocks” of cards – which are currently Return to Ravnica, Magic 2014 and Theros blocks. Promotional cards and playmats are given to players for registering early, and players were playing for pro points and cash prizes. 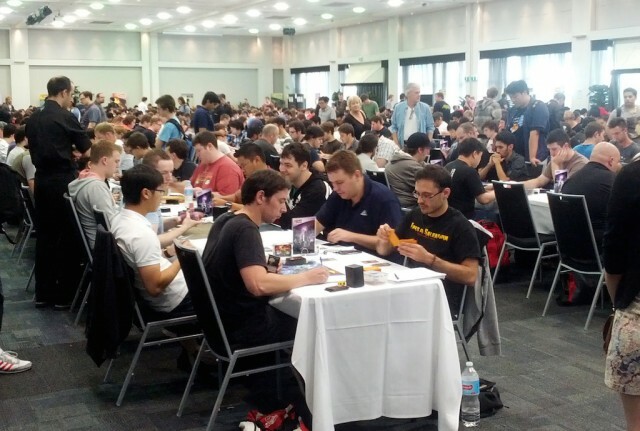 907 players registered to compete in the Grand Prix – a huge turnout indicating the strength of the Magic playing community in Australia. While most of the players were locals, some travelled from South Korea, France, and the United States. All, however, were competing to win some cash prizes, an invite to the Pro Tour competitions, and a chance to bask in a moment of glory. After two long days of play, the finals came down to local player Patty Robertson from Team Sneak and Show piloting an Esper Control archetype deck, and South Korean player Nam Sung-Wook with a Mono-Black deck. While Robertson took control of the first game to wrest a win, Sung-Wook’s sideboard proved decisive as he managed to draw cards that damaged Robertson’s strategy early in both of games two and three. Sung-Wook, 32, also made history by becoming the first South Korean to win a Magic Grand Prix event. For a more detailed account about the final, and the top 8 elimination round preceding it, the official Magic website has all the details. But it wasn’t just the main competition that brought Magic players to the Melbourne Park Function Centre. 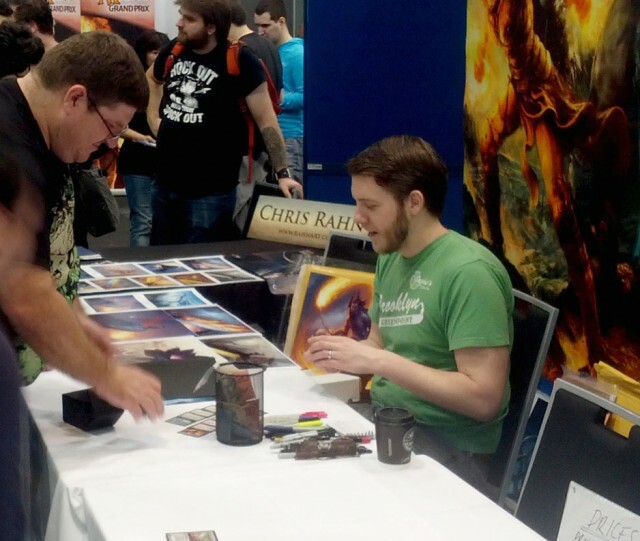 Artists Chris Rahn, Noah Bradley and Adam Paquette (a local Melbourne artist) were present to sign cards that featured their art, talk to fans and sometimes alter cards and create custom playmats. Several vendors had stalls set up to sell cards, accessories, and promote their businesses, one coming from New Zealand to reach the Grand Prix audience. For players who didn’t play the regular competition, there were lots of side events to participate in, encompassing almost all Magic formats with a wide variety of prizes. While the event was a success – likely the biggest Grand Prix Australia has hosted yet – the venues were quite crowded. Space to run the side events was cramped as the sheer number of players pushed the venue to its limits. If the game’s popularity continues to grow at the rate it has over the last two years, the next Melbourne Grand Prix may need to move to a larger venue. The next Grand Prix in the Australia and New Zealand area will be held in Sydney in August.